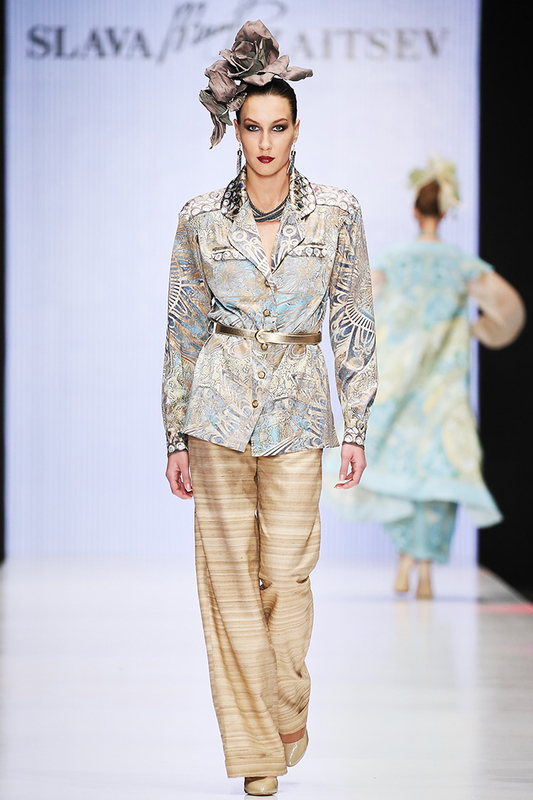 A runway show of SLAVA ZAITSEV's Spring/Summer collection that was created in collaboration with Egor Zaitsev gave start to the 31st season of Mercedes-Benz Fashion Week Russia. As many could predict, the opening turned to be a real festival. 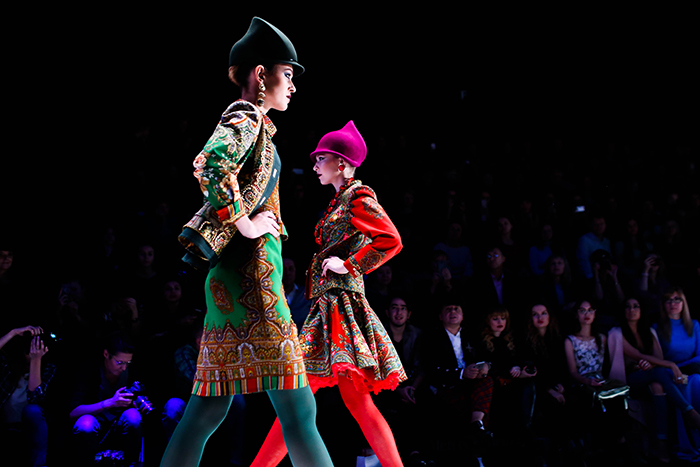 Festival that praised life and fashion, Russian fashion. 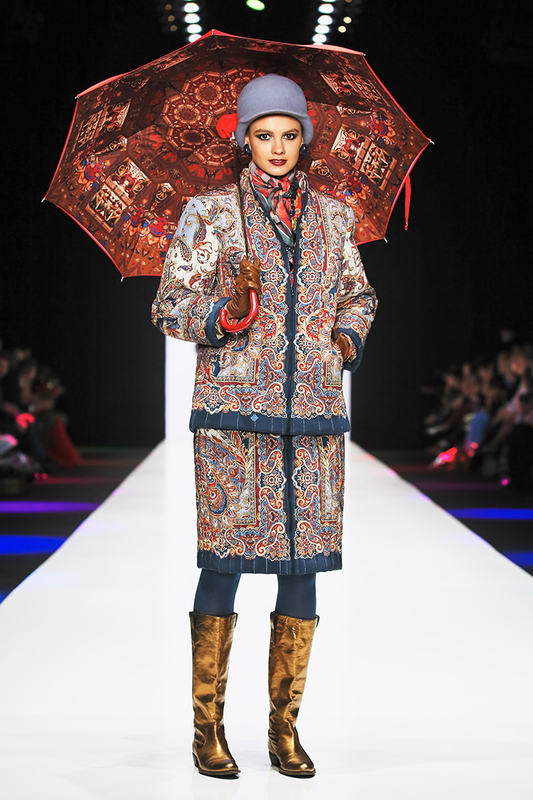 And despite the fact the runway show was scheduled at 2pm, plus just a little delay, it seems everyone who could and managed to put aside all their duties were there to honor the Maitre of Russian fashion. Everyone, young and old, happened to be there. Was it even possible to miss such an opportunity? 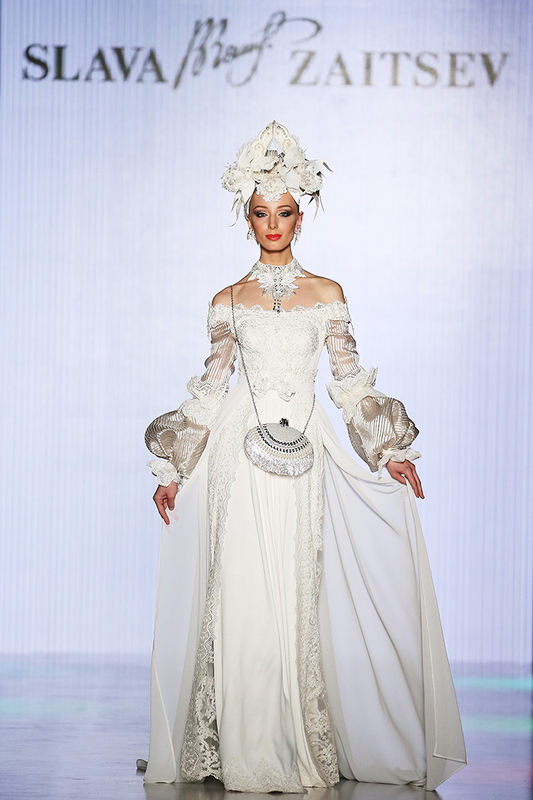 The opening collection can easily be named the most varied one out of all presented. The runway show was like 40 if not more minutes long one. I believe the collection "Patterns of Life" can be split into 3 categories or block. The first one - retro that characterizes ZAITSEV from one side. Let's not forget that the Maitre started his professional way back in 1950's - 1960's, a period that kind of sensed both in a concept of his label and in most of his collections. Yes, Slava Zaitsev doesn't really keep up with time, but he doesn't really need to be totally modern. He found the way to stop the time, which I bet you'll agree is even a harder approach. The second block - Zaitsev's a la Russ. A second twist, so to say, popularity of which the Maitre was able to foresee back in 1960's. 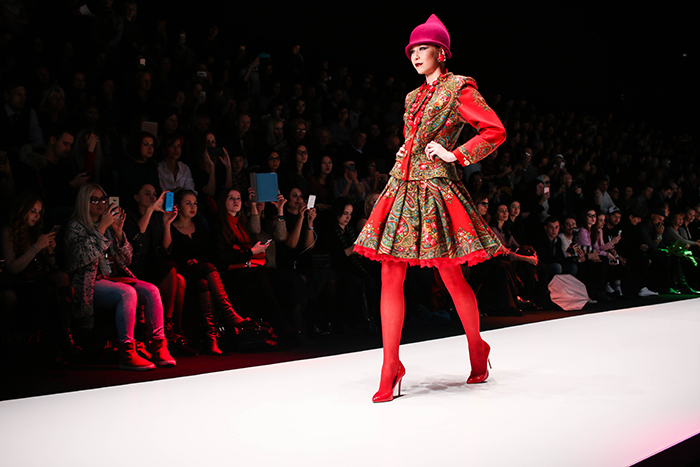 It is now, in the 21st century, that many and many Russian designers try to implement Russian motives, play around folk costume and so on, but it was Zaitsev who started this so-called trend and has been praising the Russian style over this half a century. And finally, the third part - I named it "Creative citizens". Why citizens? Because pieces that were shown throughout this block are pretty much casual and wearable. 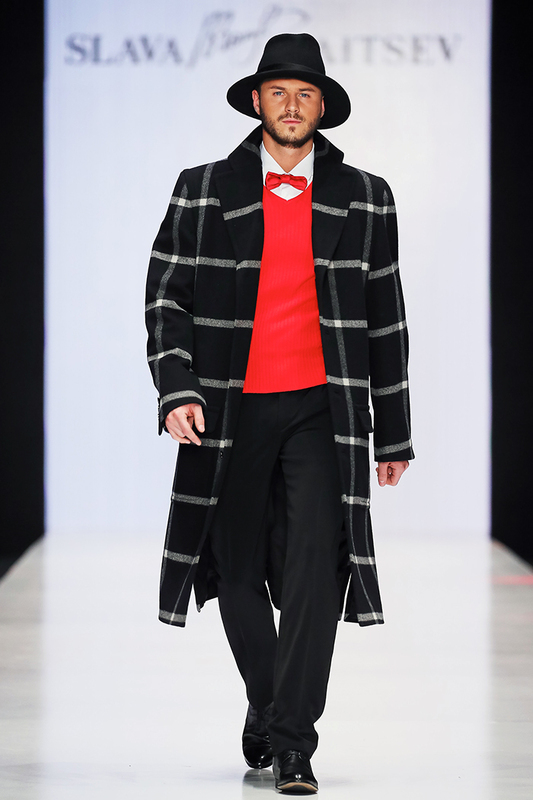 These are cropped jackets in trench coat style and skirts in lightweight fabric for women, or a trench coat dress, these are semi-formal short suits for men. In other words, everything an ordinary citizen can be seen wearing. Why creative? 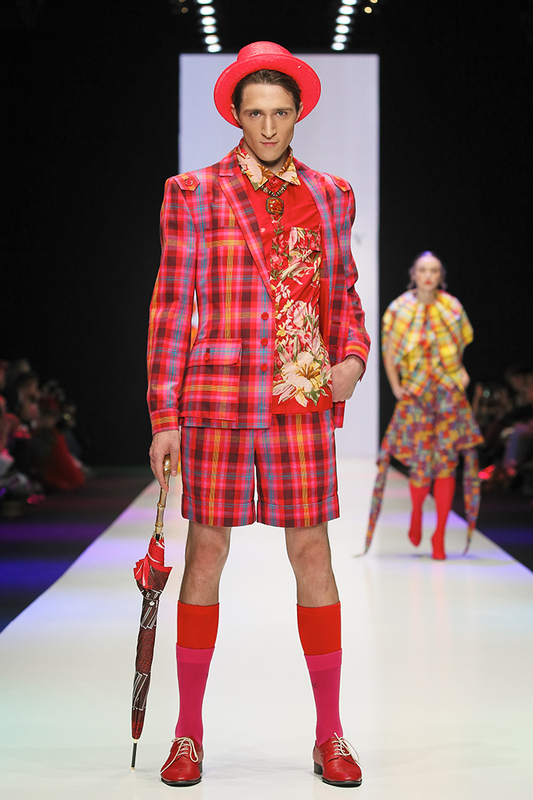 It's all about colors, prints and patterns - yellow, red, green, checks, safari style prints. Pretty much creative, huh? I would even characterize it as creativity full of life. Unconventionally, funny and fresh. In conclusion, answering my own question "Was it even possible to miss such an opportunity?" - no. I believe, no. 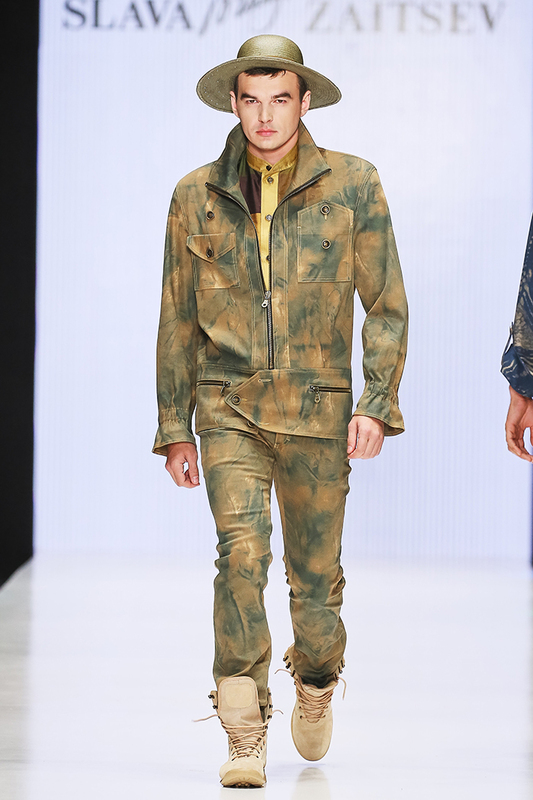 Although Slava Zaitsev doesn't keep up with time and doesn't dictate modern fashion, or better say fashion of tomorrow, it doesn't stop him from being a legend. Living legend of all post-Soviet area. A person who earned his title by means of decades of hard work, who spent quarter of a century in a so-called "iron cage of USSR" that did separate him from his colleagues and who still managed to gain recognition from such Maitres as Pierre Cardin and Marc Bohan. 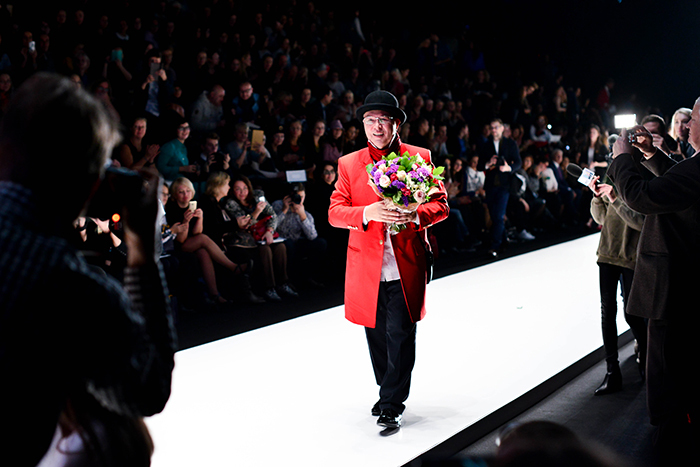 No, I couldn't miss such an opportunity to see creations of Slava Zaitsev and himself 'conquering' the runway in the sight of zillion of photo and video cameras, endless applause and admiring glances. It's so far not his first time and I bet it's yet not the last one. Although pictures aren't mine, but thank you love!